We have 15 different company typewriter oil bottles and one Tempo Black Ink can. Well known names are Carter’s, Royal, Remington, Oliver, Stafford’s. 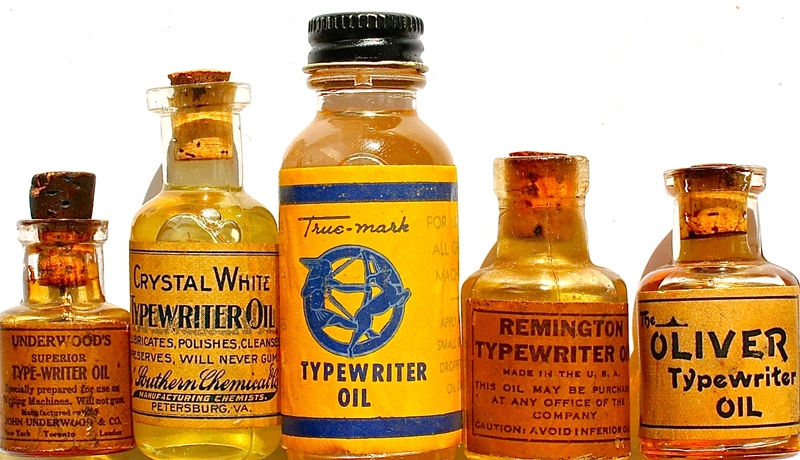 They do not have pretty labels but they were essential to the operation of typewriters for lubrication.